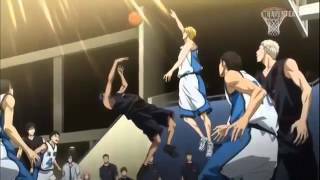 Kuroko's Basketball(쿠로코의 농구) is a Japanese manga manga series. It's also known as Kuroko no Basket. The anime was illustrated by Tadatoshi Fujimaki under Production I.G studio. 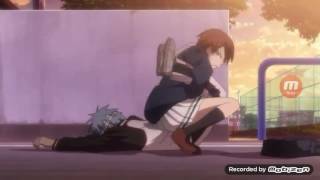 Tetsuya Kuroko (黒子 テツヤ) is the main character of this sport anime series. 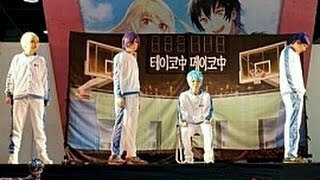 It has total 75 episodes and 쿠로코의 농구: Last Game was the final episode of the series, released in May 17, 2017. The anime was directed by Shunsuke Tada. 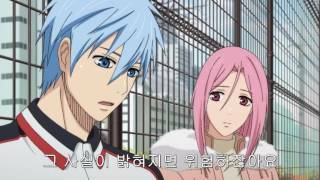 Tetsuya Kuroko is school going 16 years old boy, who plays basketball very well. His height is 5'6" and weight is about 57 kg. His actual Japanese voice is by Ono, Kensho. The is the main character of the movie. The movie blew my greatest expectations away. The story is about defending a American team called Jabberwock in a basketball match. Jabberwock team defends a Japanese team and start mocking them badly. Then a new Japanese team called Vorpal Swords is is made up by five members. Then they take revenge against Jabberwock. 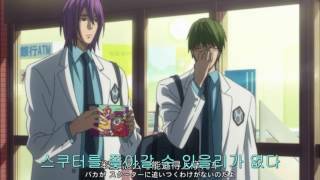 Kuroko no Basket Movie Last Game: Ending Scene!